SHIPPING FROM METRO NEW YORK CITY AND NORTH LAS VEGAS, NEVADA. TEXAS COMING SOON! 100% FREE RUSH EXPEDITED SHIPPING VIA USPS PRIORITY MAIL. We use the United States Postal Service (USPS) for most shipments. Priority Mail allows us to offer free domestic shipping within the United States. Orders from the Eastern half of the United States are shipped from NYC. Orders from the Western half of the United States are shipped from Vegas. Our shipping cutoff time Monday through Friday is 3 PM PST / 3 PM EST. Our shipping cutoff time Saturdays is 2 PM PST / 2 PM EST. All orders placed after our cutoff times ship the following day. Orders are packed but do not ship during publicly observed holidays in the United States. When a order is packed and ready to ship you will be notified with a tracking number. Tracking may not be active immediately. When a package is checked into the local facility, tracking begins. In some rare cases, large orders are shipped using FedEx Ground or Home Delivery. Those packages may take an additional day or two to arrive. No worries, something will always arrive as soon as possible. We do this to make sure these larger orders are handled with care. Don’t need your order right away? Eligible orders get store credit with No-Rush Shipping at checkout. With No-Rush Shipping, you can earn credits for your future purchases and get your order within 3 to 5 business days via FedEx Ground. The option will automatically appear for qualifying orders. This is just another perk of choosing Organic Start! Choose No-Rush Shipping at checkout to get your order within 3 to 5 business days via FedEx Ground and we’ll automatically apply the store credits to your account once your order ships. Cancelled orders do not qualify. When can I use my credits? Promotional store credits will be available after your order ships. The next time you shop on our website, the credits will automatically be applied to your cart. You can use your credits by signing on to our website. Everything and anything available on our store. They are not redeemable for cash. Where is my credit balance? Your account store credit balance can be found at the top of the screen or in your account when you sign into our website. Our store credits never expire. How does my order qualify? 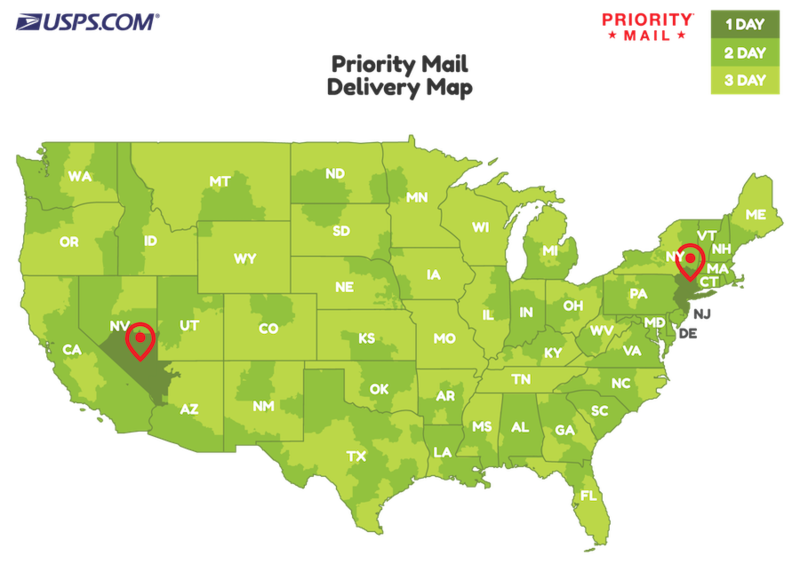 To qualify for No-Rush Shipping, you must reside in the west coast of the United States (every state after Colorado). Your order must include sufficient items. If you meet these requirements the option will appear inside your cart and during checkout. This is because orders in this region take 3 to 5 business days with FedEx Ground. We offer a range of guaranteed FedEx Express options at checkout. FedEx Express guarantees orders placed before 3 PM EST Monday through Friday ship out the same day and arrive before a quoted day and time. Guaranteed 2 Days After Shipping by 8 PM. Available only on Wednesdays and Thursdays. Recommended Wednesdays after 3 PM EST and all-day Thursday. Guaranteed 2 Days After Shipping by 8 PM excluding Sundays. Guaranteed the Following Business Day (Monday - Friday) by 8 PM. Guaranteed the Following Business Day (Monday - Friday) by 11 AM. Available only on Thursdays and Fridays. Recommended Thursdays after 3 PM EST and all-day Friday. Guaranteed the Following Day by 11 AM excluding Sundays. If you place your order after 3 PM EST on Friday or on the weekend, it does not ship until Monday. Therefore all overnight orders (even with Saturday Delivery) placed after 3 PM EST on Friday or on the weekend ship Monday and arrive the following Business Day (Tuesday). All of our products are safely shipped from our clean and secure warehouse in new, unused and unopened condition. All terms, conditions and policies are subject to change at anytime without notice.